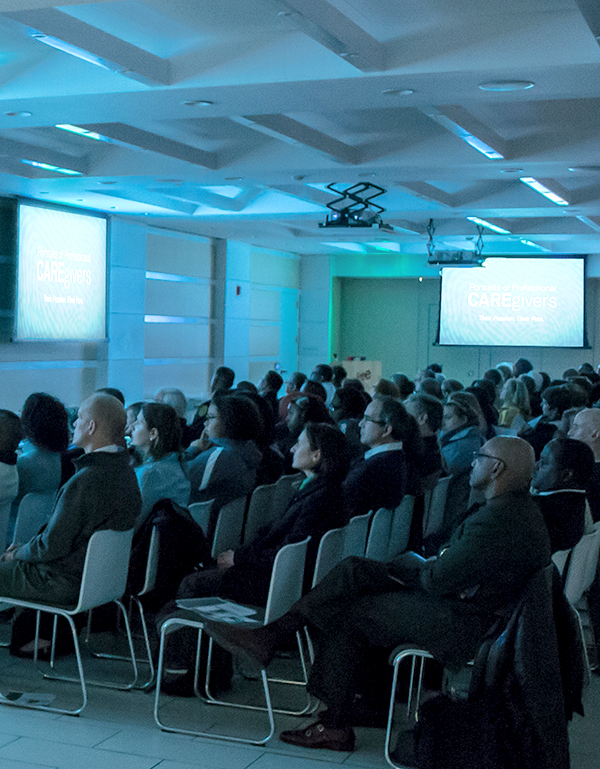 Announcing upcoming Broadcasts by American Public Television of CAREgivers film!  Whenever possible we will list dates and times under the Screenings menu at the top of this page. However, we recommend that you also contact your local station for confirmation — or to express your interest in a broadcast if it’s not yet listed. Portraits of Professional CAREgivers: Their Passion, Their Pain is a documentary film based on interviews with nurses, social workers, clinical psychologists, doctors, firefighters, first responders who rescue, assist, and help to heal the injured and traumatized—and also tell their own remarkable and often painful stories. The film takes us on a journey into a world the public rarely sees, depicting emotional costs experienced by professional care providers and probing the emotional consequences of professional public service. 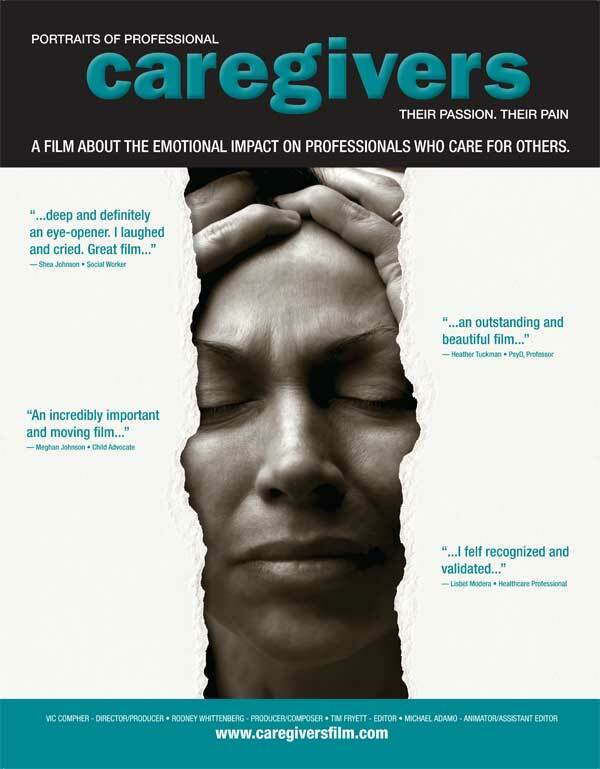 The film asks the question: How are professional caregivers and first responders affected emotionally and physically? Who helps them? 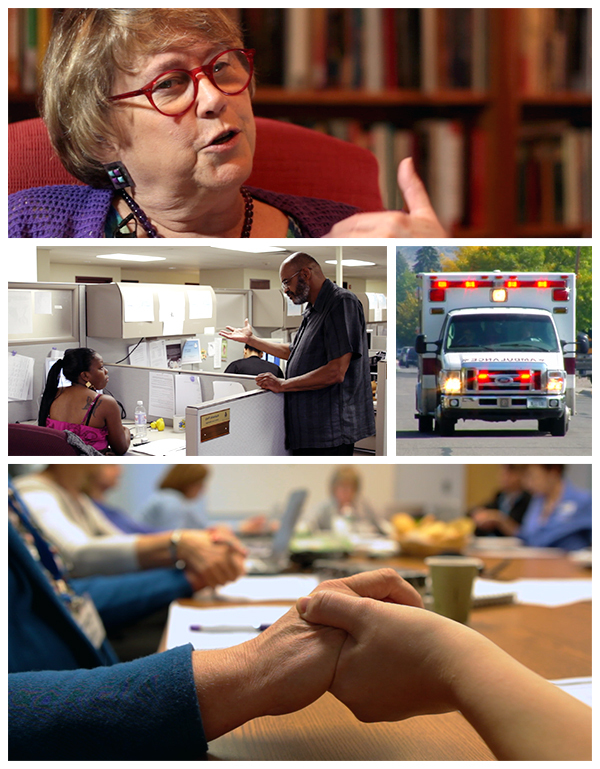 Viewers discover that engaged, empathic caregiving can sometimes be an occupational hazard; we explore the painful and human sides of these professions and vulnerable responses to trauma -- Compassion Fatigue -- also known as Secondary Traumatic Stress or Vicarious Trauma. The film also addresses high levels of career satisfaction and professional meaning that caregivers experience. 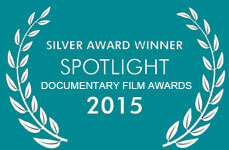 Ultimately, the film provides ways to cope and recover from toxic stress in the workplace.